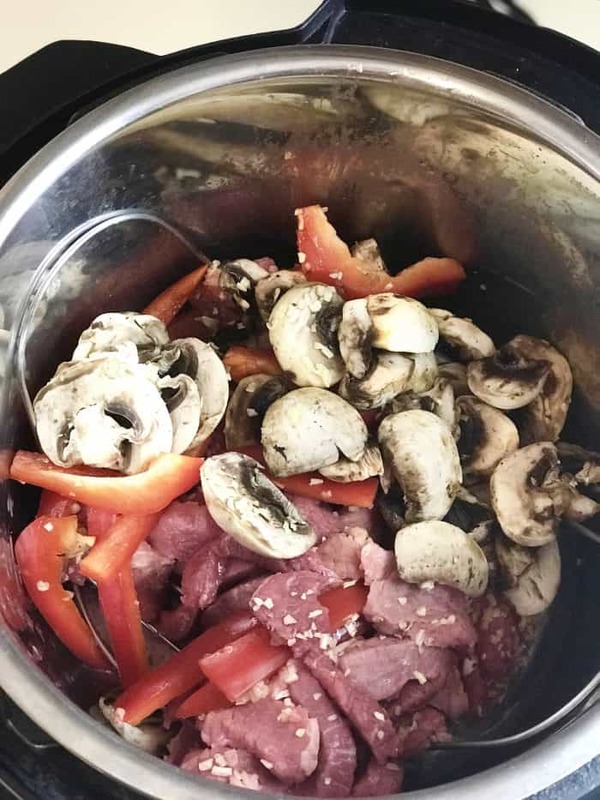 This Instant Pot Pepper Steak recipe easily goes from your freezer to your pressure cooker. Make it ahead and freeze or assemble at dinner time, whatever works best for your family. Add all ingredient to the Instant Pot on top of the steam rack. 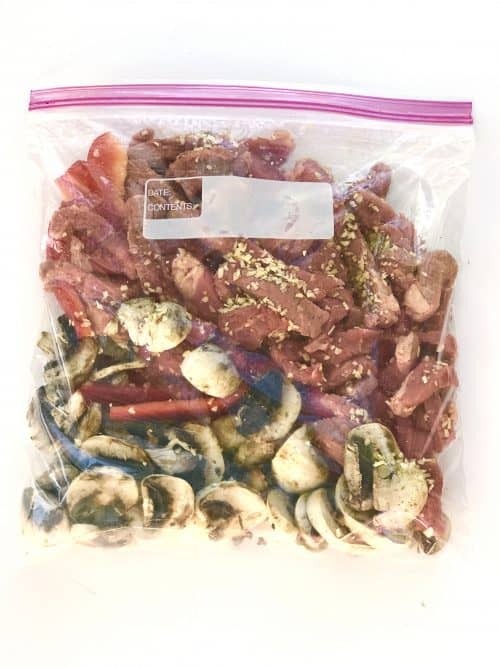 (If freezing, place all ingredients except the water into a 1 gallon freezer bag. You’ll add the water at cooking time.) Cook for 20 minutes, allowing the pressure to release naturally. Serve your Instant Pot Pepper Steak over rice. 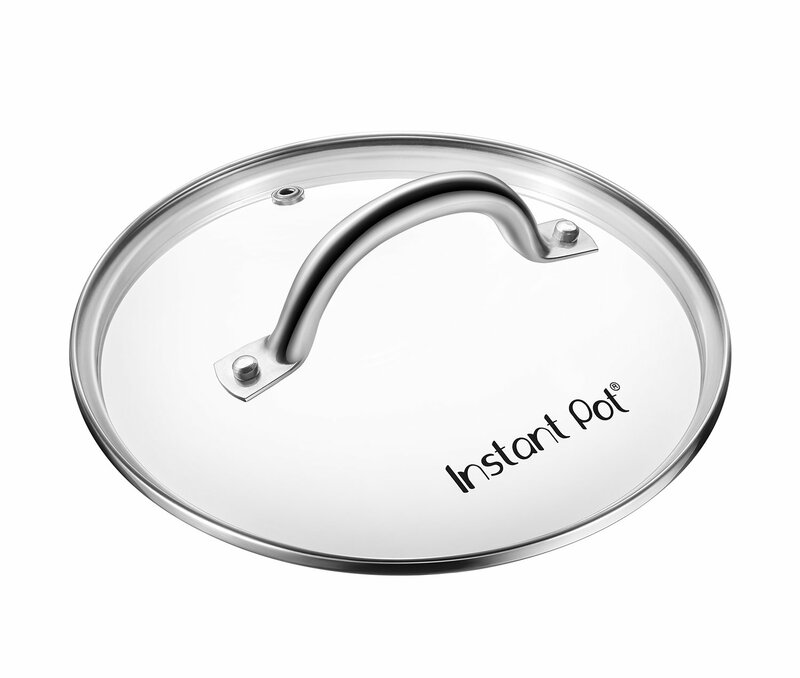 You can easily store any leftovers right in the cooking pot with this tempered glass lid made just for that! Cook for 20 minutes, allowing the pressure to release naturally. 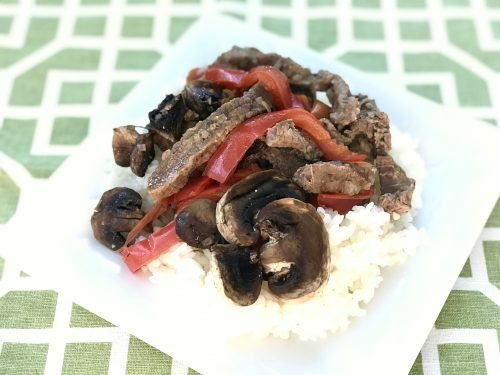 Serve your Instant Pot Pepper Steak over rice. If you use your Instant Pot as much as I do, check out my Instant Pot Shrimp and Rice recipe too! Steak fan? Then you’ll love this chuck eye steak recipe.